The Orlando Modern Quilt Guild is collecting quilts for the victims of the recent shooting at Pulse nightclub. 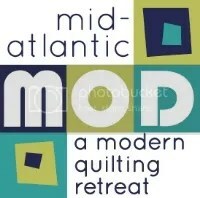 The NJMQG has registered as a guild to make and send one completed quilt. At our guild meeting tomorrow, June 16, we will have a sign up sheet for guild members who can contribute one or more blocks. We ask that you use this tutorial from Cluck Cluck Sew for the 10-inch finished block (or this paper piecing version by Elizabeth Dackson). You will sign up to make a specific color (or colors). More details about the background color will be given tomorrow night at the meeting. You can also read more about it here on the MQG site and check out the Instagram hashtag: #quiltsforpulse. The blocks will be due at the July meeting. *If you cannot attend the meeting and would like to contribute a block or blocks, please email njmqginfo at gmail dot com. We will sign you up and assign a color. ← Reminder: June 2016 Meeting this Thursday!